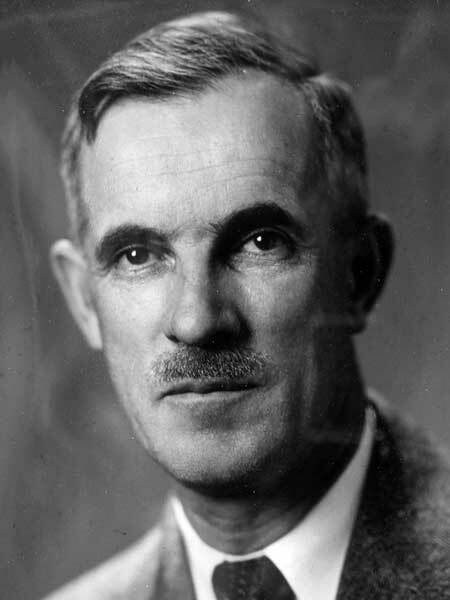 Born at Arrow River on 20 May 1901, son of Arthur Bird and Ethel Winter, grandson of Christopher T. Winter, he received his early education at Blenheim School, Thoona School, and Birtle School. He then moved to Winnipeg to study Botany, Zoology, and Entomology at the University of Manitoba, receiving BSc (1924) and MSc (1926) degrees. During the summers of 1924 to 1926, he worked at Aweme under the guidance of entomologist Norman Criddle, which was to have a profound impact on his subsequent career. He obtained a PhD in 1929 from the University of Illinois then took a teaching position at the University of Oklahoma, from 1929 to 1933. While there he met and married Lois Hazel Gould (?-1959), daughter of the head of the Oklahoma Geological Survey. They had one son, Charles, and two daughters, Maida and Linda. During the summers of 1931 to 1933, he conducted research on insects at Vernon and Hat Creek, British Columbia and returned to Canada permanently in 1933 as Officer-in-charge of the Federal Entomology Laboratory at Aweme following Criddle’s death. The facility was moved to the Brandon Post Office building later that year and he remained in the position until 1957. His work from 1933 to 1942 was focussed on grasshoppers, expanded after 1942 to include other insect pests on agricultural crops. The lab was closed in 1957 and its staff were transferred to Winnipeg as part of the newly-formed Canada Department of Agriculture Research Station at the Fort Garry Campus of the University of Manitoba. He was Head of its Entomology Section and, as of 1963, Head of the Crop Protection Section. He retired in 1966 and moved to Saltspring Island, British Columbia with his second wife, commercial artist Lilian Mary Watson. Bird was a Life Member of the Entomological Society of Canada and the Natural History Society of Manitoba (from which he received the Bronze Medal for his research on the insect life of the Treesbank area, in 1927, and served as President in 1960-1961), and a member of the Entomological Society of Manitoba (President, 1964-1965) and Scientific Club of Winnipeg. He had broad interests as a naturalist, writing about birds, vascular plants, and lichens, and was an active amateur taxidermist. He wrote the book Ecology of the Aspen Parkland of Western Canada in Relation to Land Use (1961). Fascinated by archeology, he carried out investigations of the Stott Site near Brandon. He died at Ganges, British Columbia on 1 March 1972. Obituary, Winnipeg Free Press, 4 March 1972, page 36. “Ralph Durham Bird, 1901-1972” by C. D. Bird, Canadian Field-Naturalist 86(4):393-399 (1972). We thank Charles Bird for providing information used here.